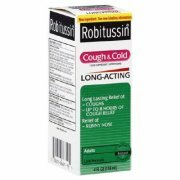 A Day Late and A Dollar Short: High-Dollar Robitussin Coupon! Better print this one quick! Makes for some **FREE** Robitussin at Walgreens (though I couldn't find it at my store last night).